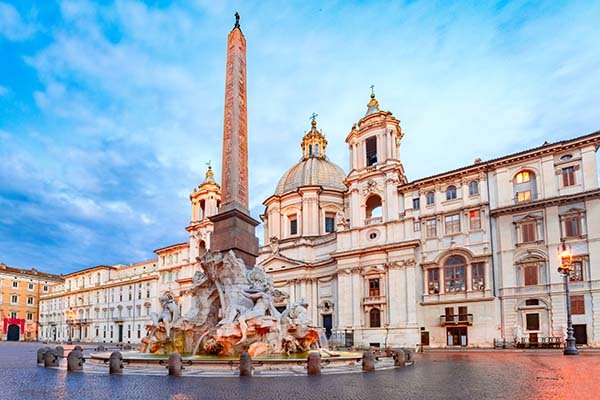 The elongated Piazza Navona is one of the most beautiful and vibrant squares in Rome. 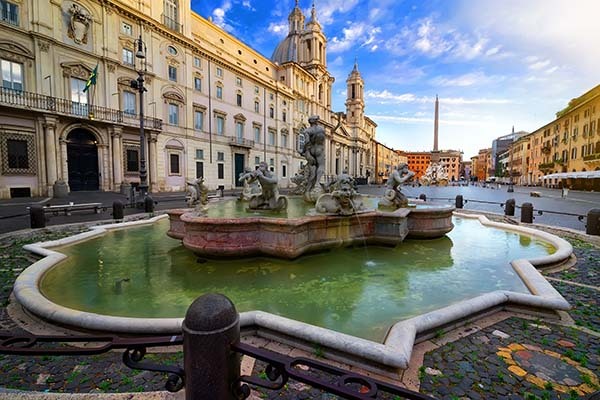 Visit the square that also has the 'La Fontana dei Quattro Fiumi' fountain by Bernini. Piazza Navona is one of the most beautiful and famous squares in the centre of Rome. In 86 CE, emperor Domitian commissioned this square with its unique, elongated shape. This shape is the result of its original function as the stadium for athletics competitions (Circus Agonalis) with stands for 20,000 spectators. Pope Innocent even organised so-called ‘water games’ during the hot summer months, for which the whole square was put under water. After the fall of the Roman Empire, houses were built where the stands used to be, but the long athletics field remained free of buildings and would later become Piazza Navona. A number of unique buildings was added to the square in the 17th century. For instance, pope Innocent X commissioned the construction of the church Sant’Agnese in Agone, a palace, and he commissioned Bernini to build the fountain ‘La Fontana dei Quattro Fiumi’ (The Fountain of the Four Rivers, the four statues representing the Donau, Ganges, Nile and Rio de la Plata). The 16-metre high obelisk of the fountain originally came from the Circus of Maxentius located on the Via Appia. In addition to this fountain, the square also has two smaller fountains by Giacomo della Porta, an apprentice of Michelangelo. They are called the Fontana del Moro (the Fountain of the Moor) and the Fontana del Nettuno (Fountain of Neptune). Several excavations were made five metres below street level of the original Stadio di Domiziano; you can visit these excavations at the Piazza Navona. The excavations are open to the public every day from 10 am to 7 pm and a ticket is 8 €. An audio guide tour takes 40 minutes. More info. Nowadays, the Palazzo Braschi, the palace located on the square, is home to the Museo di Roma. It tells the history of Rome throughout the centuries using countless paintings, engravings and other ancient works of art. The museum is open from Tuesday to Sunday from 10:00 to 19:00 and a ticket costs 8 €. More info. Nowadays, it has become a vibrant square with countless cafés, terraces, and street performers and portrait artists. 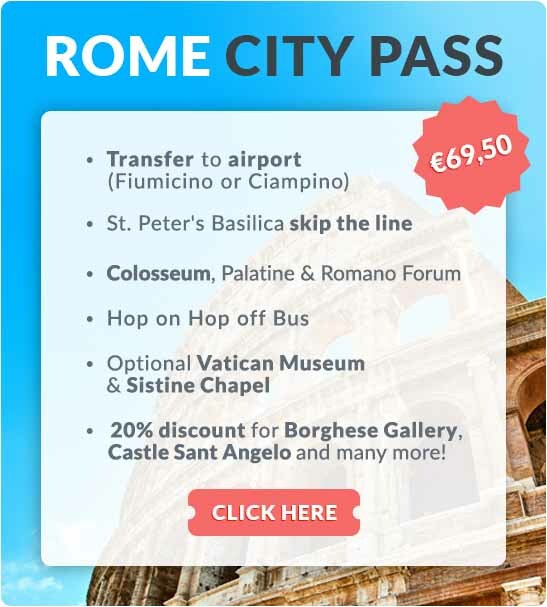 Are you visiting Rome around Christmas? Be sure to visit this square as it will have been transformed into a large Christmas market. Where is the Navona square in Rome? The square is located in the centre of Rome in the district of Campus Martius just 300 metres from the Pantheon. You can find Campo de’Fiori, the square with the popular daily market for flowers, vegetables, fruits and even souvenirs, at just 200 metres.